The landslide victory of moderate-reformist Hassan Rouhani in Iran’s recent presidential election came as a surprise for the West. Until the day of the election the West had been portraying Iran’s electoral process as a manipulative selection rather than a free election. Moreover, the Western media typically represents Iranian society as homogenous and extremist, and its political structure immutable and undemocratic (see, for example, Bednarz 2013). The existence of a profound pro-democracy movement which gained momentum four years ago after disputed presidential elections is neglected and as a result the prospect of change in Iran emanating from within society is too often overlooked. Rouhani’s victory demonstrated that Iranians are able to change the destiny of their country and society within a democratic framework. This election, and the broader triumph it represents, signals an end to ‘Ahmadinejadism’, which was perhaps – in the post Arab Spring Middle East – the last possibility of the conservatives to monopolize power. The result of the recent election is not surprising if it is understood as a continuation of Iranians’ struggle for democracy and civil rights. Since 1907 and the emergence of the Constitutional Movement, the transition from an authoritative state to a democracy has been one central goal of Iranians. With the emergence of the Reform Movement in 1997, this struggle entered its contemporary phase. Thus, I argue that Rouhani’s election must be understood with reference to the existence of this nationwide movement in Iran. Elsewhere (Fadaee 2011; 2012) I have argued that the Reform Movement was the manifestation of definite changes within an Iranian social structure which, on the one hand, resulted from the introduction of Islamism after the revolution of 1979, and, on the other hand, was the consequence of the economic reforms of the late 1980s. A ‘post-Islamized milieu’ emerged and drove social change. The post-Islamized milieu consists of educated urban middle classes who reject the state-dominated narratives of the Islamic republic based on the Islamization of social and political institutions. Moreover, they do not believe in ‘Islam’ as the binding force of the nation, regardless of any religion or ideology they might have. Instead, this milieu seeks to create a society based on rhetoric of civil rights, pluralism and democracy. By the mid-1990s, population growth and urbanization along with an increase in the number of educated people in the country who had widespread access to the internet, had led to increasing public awareness among members of the post-Islamized milieu. A new generation of citizens had emerged whose uniting element was increased consciousness about their civil rights. These people had started expressing new ideologies, worldviews and demands. Although breezes of change began in the early 1990s, Mohammad Khatami’s election in 1997 and his support for reform marked the official launch of the Reform Movement. In the 1997 election, Khatami competed against a conservative figure, Nategh Nouri, who was fully supported by the Supreme Leader and more broadly by the ‘Islamized milieu’ (i.e. the political and economic elite and the petty bourgeoisie in the bazaar economy). Khatami was a lesser known figure in the regime and he received 69 percent of the votes. Being backed by the post-Islamized milieu during his electoral campaign, his campaign was focused on concepts such as ‘civil society’, ‘human rights’, ‘citizenship’ and ‘political liberalism’. The Reform Movement introduced new discourses, debates and values into the society. Although in the beginning these new debates and values were mostly popular among the more educated strata, during the years the development of a public sphere led to increasing awareness of civil rights nationwide. One of the most important manifestations of the Reform Movement has been the Green Movement which emerged after supporters of Mousavi, the reformist candidate and main rival of Mahmoud Ahmadinejad in the presidential election of 2009, took to the streets and protested the election results. In 2005 when Ahmadinejad won the presidential election, large numbers of people were frustrated by persistent unemployment and slow economic growth. Therefore, focusing on economic and populist issues won him the election. However, by the time of the presidential election of 2009 the economic situation had not improved and all the major democratic achievements of the Reform era had been undermined. It was this widespread movement which in 2009 brought millions of people from different backgrounds, without links to any association or political party, to the streets of different cities in Iran. Claiming electoral fraud and carrying green symbols, they raised a very fundamental question: ‘where is my vote?’. Although the election result remained unchanged, the Green Movement transformed into a complex and popular movement for reclaiming democratic rights. Four years later in June 2013 the same people overwhelmingly elected Rouhani in a striking denial of the conservatives who were in power in Iran for the past eight years. He won far more votes than his rivals, all of whom were hardliners. Minutes after the announcement of the election results people filled the streets. Many were dressed in purple, Rouhani’s campaign color, and some in green, the color of the Green Movement; others were wearing both colors. They chanted pro-reform slogans while demanding the release of the Green Movement’s leaders who are being held as political prisoners. Some were holding placards such as ‘we vote, therefore we are’ or ‘we got our votes back’ referring to the previous disputed election. There is no doubt that the regime tried its best to prevent the renowned reformists from participating in this election. As a result, reformists had to rely on less well known figures, competing with candidates of the conservative front, very similar to the 1997 election when Khatami first became president. Having experienced the 2009 election, people were skeptical about the transparency of the result until the election day. The overwhelming protests of people in the previous election taught the government of Iran a lesson: ‘the people will not stay silent in cases of fraud’. Hence, the government created an election commission to closely watch and control the conduct of the 2013 election. Even though Rouhani won just over 50 percent of the vote, his rivals and the supreme leader immediately congratulated him. After his victory, Rouhani issued a statement on television in which he stated that a new season of solidarity, rationality, moderation, peace, stability and hope had begun. Furthermore, he hailed his win as ‘victory of moderation over extremism’. In the post-Arab Spring Middle East, where some democratic forces in the region have been empowered, people of different nations have started pursuing different strategies to implement change. As Hamid Dabashi (2013) has noted, “[i]n this grand chorale of democratic uprising in the Arab and Muslim world, each nation does what it does best – and they will all benefit and learn from each other. The Egyptians and Tunisians do one thing, the Turks another, and the Iranians the next”. Within this context the Iranian election is important for two reasons: first, Iranians’ growing civil consciousness and solidarity will, in the coming years, succeed in introducing fundamental democratic transformations; second, it is time for the West to accept that people in the Middle East desire political change and indeed can alter their societies from within. They long for participatory democracy while defending their identity and rejecting dependency. Simin Fadaee is an Assistant Professor in the Institute of Asia and Africa Studies at the Humboldt-University of Berlin. As well as a recent monograph, Social Movements in Iran: Environmentalism and Civil Society (Routledge, 2012), Simin’s work has appeared in edited collections, Women’s Movements and Counter Movements: The Quest for Gender Equality in Southeast Asia and the Middle East (Cambridge Scholars Publishing, forthcoming) and Globalization and Inequality in Emerging Societies (Palgrave-Macmillan, 2011), and the journals Global Dialogue and Social Change. 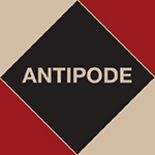 This entry was posted on 7 August 2013 by Antipode Editorial Office in Interventions and tagged Ahmadinejad, Arab Spring, civil rights movement, civil society, democracy, democratic politics, democratic reform, elections, electoral politics, electoral reform, green movement, Iran, Islam, Middle East, Rouhani, social movements, the state.